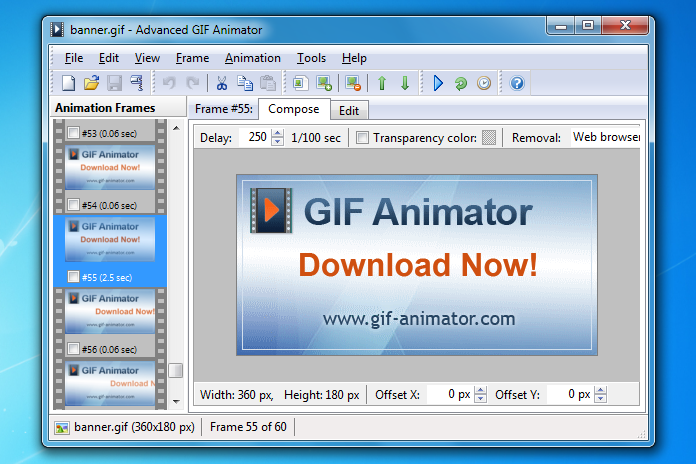 AMC GIF Construction Set Pro is the world's most widely-used GIF animator to assemble, edit, and optimize animations and create transparent GIF files. Features: Animation Wizard, Supercompressor, Banner generator and Transitions for sophisticated animated effects. 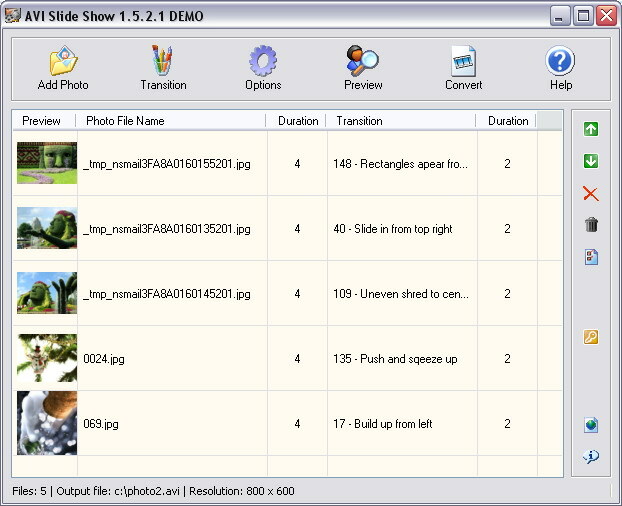 You can rotate, crop, colour-adjust and resize all or part of an animation sequence. Extensive documentation and tutorials so you can get right down to things that flash and move. AMC PNG-MNG Construction Set represents the state-of-the-art in animation software. Assemble your original animations effortlessly through its Animation Wizard, squeeze them down with its Supercompressor; create eye-catching banners and animated transitions; add transparency to PNG graphics and lots more. PNG and MNG graphics transcend the color and structural limitations of GIF files. Get up to speed quickly with its extensive documentation. Use Artoonix to create cartoons or animated movies on your PC to "liven up" static world of simple computer drawings. With Artoonix you can: - Draw or import pictures and movies from files (JPEG, GIF's, videos). - Animate and transform the drawings or photos. - Record multi-track sound or insert soundtracks from audio files. - Add sound effects. - Export animation to Flash, movie AVI or animated GIF files for easy web publishing, e-mailing, etc. Balthers Graphic Groove Box is a VJ and Moving Visuals program for the professional digital artist, handling graphics, Flash, videos and 3D. 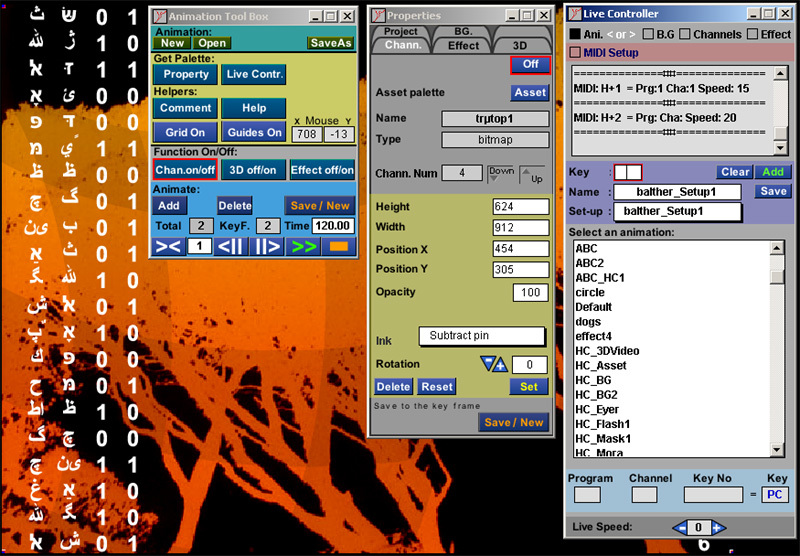 PC key and MIDI control with interactive real time animated Effects. No installation required except of the Quick Time Player. When starting the software it will checks the PC and guides you through wrong settings and QT installation. 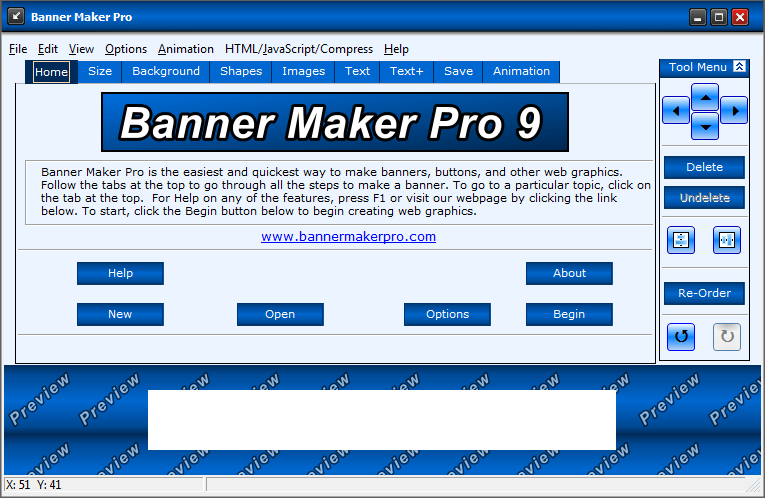 Banner Maker Pro creates professional looking banner ads, buttons, logos, web headers, and other web graphics quickly. By using a wizard like interface, you can create great looking web graphics in just minutes. Simply follow the tabs at the top of the program to go step-by-step in the graphic making process. Many options are available including one step animation, 3d text effects, gradients, add your own images or logos and more.